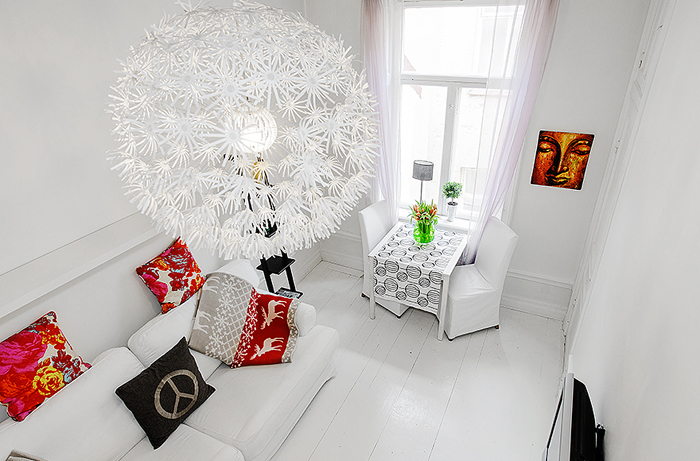 We love creative and functional solutions to everyday problems. 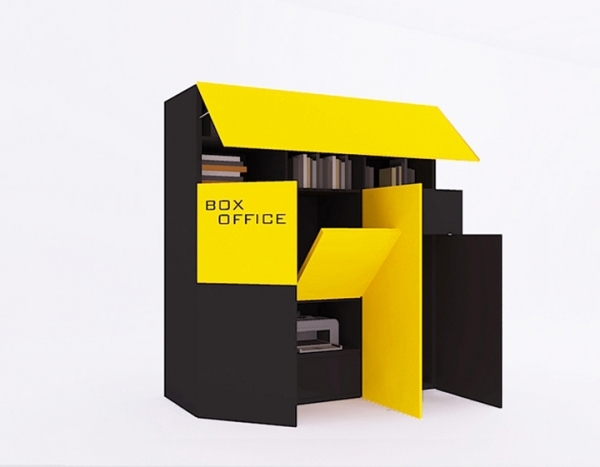 For example, this box office concept, by Andrya Kohlmann, is an amazing solution for small business owners and freelancers. The Box Office has a computer, printer, work counter, ergonomic chair, a bench for customers, ample shelving for storage, and a mini kitchen with a microwave, refrigerator, and coffee maker. 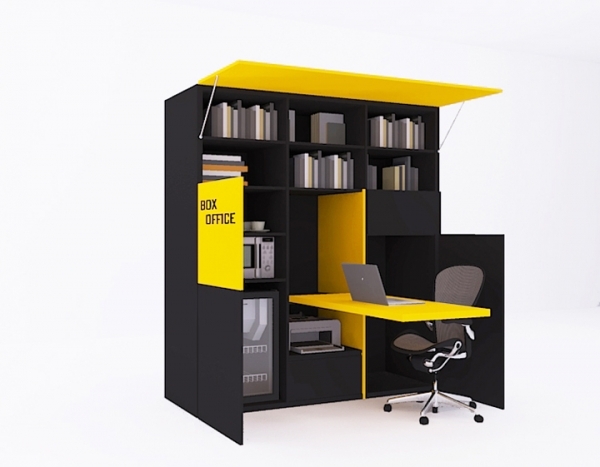 The work counter can be fitted to your size, ensuring that your workspace is comfortable, and that productivity is at its maximum. It is two meters wide, two meters and twenty centimeters high, and seventy centimeters deep. 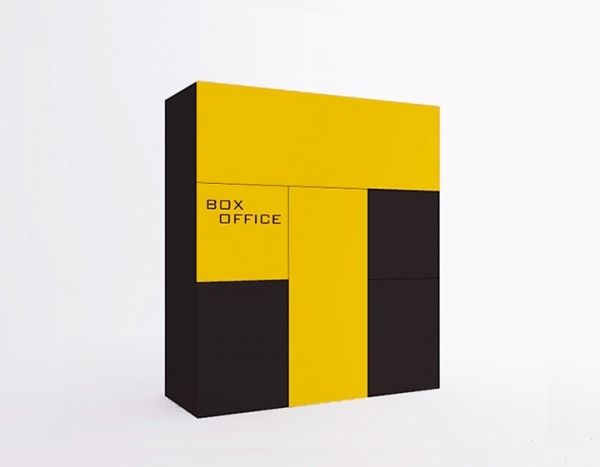 The entire size of the box office is no larger than three cubic meters. 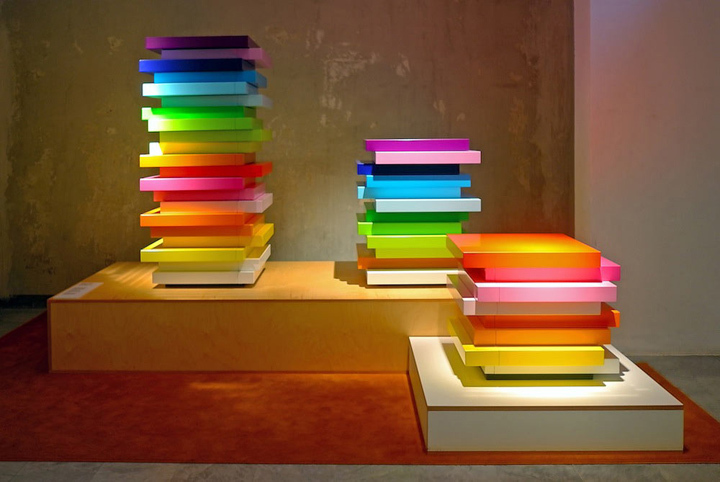 The bright colors can be changed to suit your business needs, providing a bit of individuality and a little more function to your space. The modular shape is absolutely perfect, adding convenience and ease to the set up. Certain sections can be folded to close and unfolded to open, making it easy to transport. This allows the small business owner to work pretty much anywhere, which is a wonderful and helpful option to have. 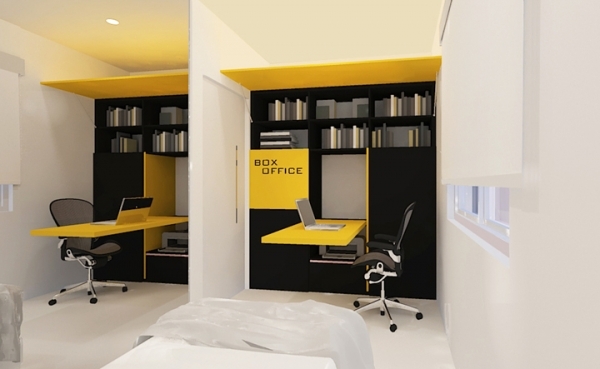 The box office also alleviates the worry and expense of office space, allowing you to completely dedicate your focus and money to your business. It is also wonderful for freelancers. 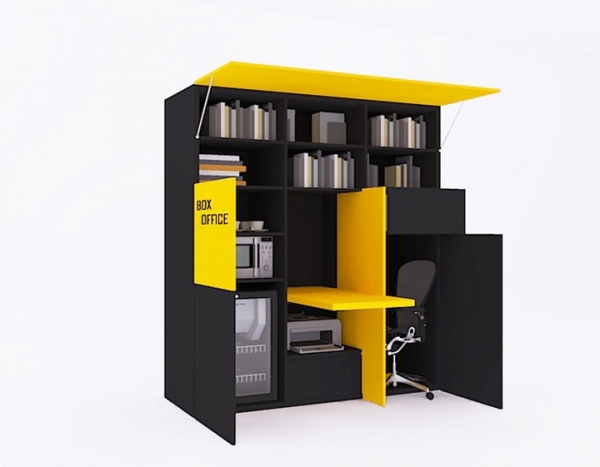 If you work from home, this provides a wonderful option for a home office, even if you live in an apartment. No more working on your couch, surrounded by distractions, and no more unnecessary money spent at coffee shops (unless you want to). 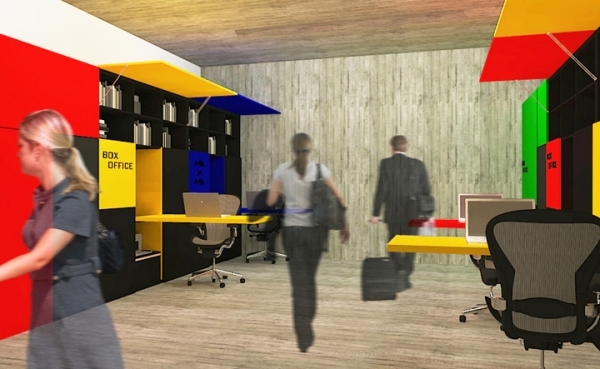 You don’t even have to leave your workspace to grab coffee or lunch, everything is right there, within your reach. 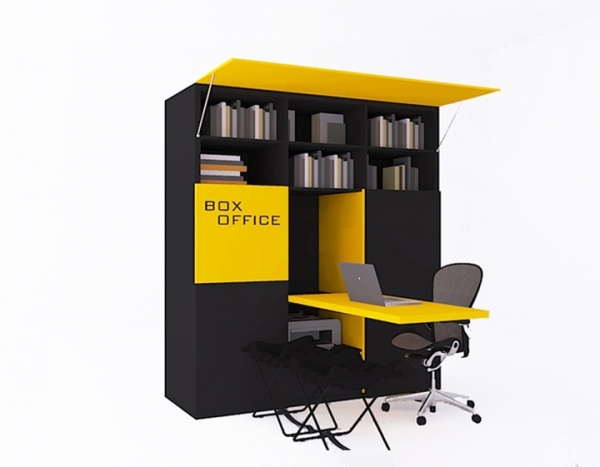 Hopefully, one day we will see locations with these box offices pop up, making it a little easier for small business owners and freelancers to get their work done.